For now, Stories ads will be sold on a cost-per-1000-impressions basis and priced via auction, with any length of view counting as an impression rather than needing to play for three seconds to be counted as a view (like Facebook videos). Currently there’s no option to click or swipe up to open an advertiser’s website, but Instagram’s VP of business James Quarles tells me “In the future people might want to buy a click or buy a video view and those would be measured differently… We plan to incorporate that in the coming months. The new Story ads will eventually roll out globally on all interfaces, but will first be tested over the next few weeks with a group of 30 partners, including Capital One, General Motors, Nike and Netflix. Seventy percent of Instagram users already follow a business, and one-third of the most-watched Stories on Instagram were created by businesses, so the company thinks its partners can make ads that won’t bore people into closing the app. They’ll be able to check analytics on their Stories through the Insights button on their profiles. 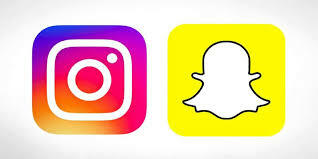 Instagram could have waited until later this year when Snapchat is supposed to IPO before showing ads. This would have allowed it to retain the advantage of offering Stories without interruption. But clearly Instagram views the growth of its Stories as strong enough to endure any drop-off in usage that ads cause, and parent company Facebook is eager to see more revenue from its photo acquisition. Can you tell uss more about this? I'd like to find out more details.